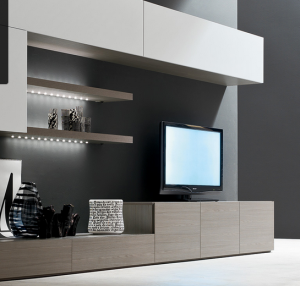 We believe the quality and desirability of our Italian Contemporary Interiors speak for themselves. That’s why we invite you to view our collection of interior design projects for Kitchens, Living Rooms, Bedrooms, and Bathrooms, so that you can see for yourself what Melgrati has to offer. We’re certain that you’ll notice our dedication and attention to detail in all of our Contemporary Interiors. That’s been a staple of Melgrati since our founding in Brianza, Italy in 1892, where we continue to operate to this day. We utilize only the most premium materials available in Italy for each and every project, relying on the skill of traditional craftsman, alongside innovative design schemes, to deliver one-of-a-kind interiors. Aside from our rich home collection, Melgrati also offers complements such as beds, sofas, dining tables, chairs, walk-in closets, bookcases, and armchairs. In fact, Melgrati partners with trusted contractors, interior designers, and architects to produce a custom interior space that is designed and produced in Italy to your exact specifications. We can pretty much handle an entire design project from the smallest to the biggest details. We are eager to help make your design vision a reality. To learn more, visit our Contact page or call 1-786-219-7517.